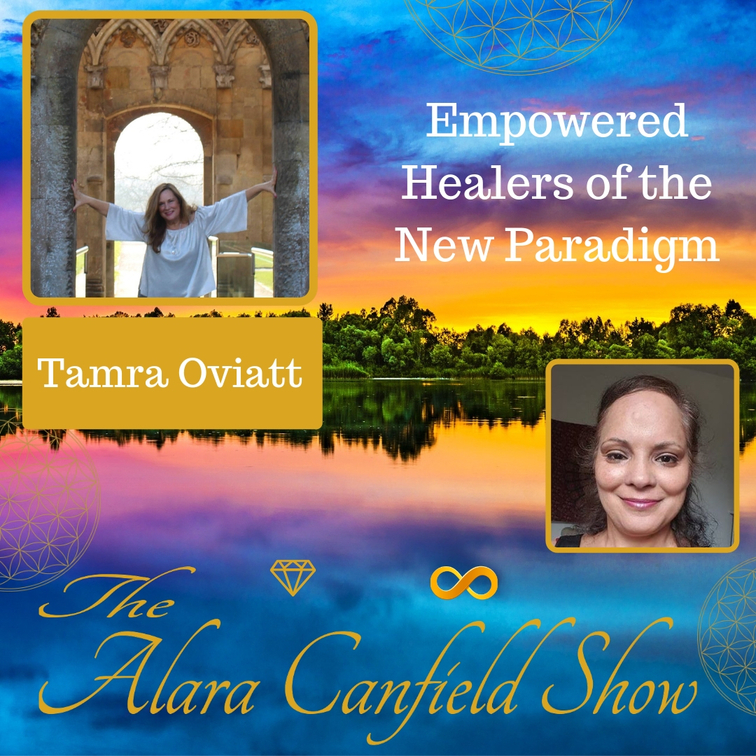 Please join Tamra Oviatt and me as we talk about Empowered Healers of the New Paradigm. Wonderful guidance, insight, and wisdom about healing, being of service, boundaries, anger and resentment, and so much more. Please join Kim Regnitz and I as we talk about Harnessing Quantum Magic and Alchemy through "I AM" Embodiment! Wonderful guidance, insight, and wisdom about I AM embodiment, being in alignment and so much more. Wonderful and powerful personal clearings and group healing energy processes. When we ALIGN and EMBODY this “I AM” Frequency, Magic and Alchemy occur serendipitously and you begin to tap into who you are as a Divine Master! You have been prepared Multidimensionally for this Unique Incarnation in the most Auspicious time of the Great Awakening through Gaia’s Ascension! You ARE here to bring forth your Unique Gifts to the World that SOOO needs them right now!!! We invite you to join us in the Flow of the Magic of this High Vibrational call, as Kim will be leading us through a Holographic Magical Activation as Guided through her “I AM Alchemy Team”. She will also be taking Live Calls assisting in the Upgrading of your Frequency Bandwidth! What is possible for you NOW? Please join Patrick Prohaska and I as we talk about Light Bridge Wealth Harmonics. Join us Q&A, energetic activations, Light Bridge attunements, and belief sculpting processes to bring you into alignment with wealth consciousness, and so much more. Wonderful guidance, insight, and wisdom about wealth, prosperity, being in alignment and so much more. Wonderful and powerful personal clearings and group healing energy processes. Imagine living basking in all the financial resources you need to create the life of your dreams, on your terms. Patrick Prohaska’s Light Bridge Wealth Harmonics helps you achieve that, and more. -Is your life an endless stream of unpaid bills and financial self-sabotage? -Do you live in constant fear of unexpected expenses that can push you into bankruptcy? -Do you live paycheck to paycheck, and never have any surplus for savings or retirement? -Do you settle for shabby, silently embarrassed about your home, car, or clothing? -Do you feel overwhelmed financially and fear you’ll never take control of your life? Join Ana La Rai and I as we talk about Energy Tune-ups. Wonderful guidance, insight, and wisdom about energy clearing and bringing in light. Wonderful and powerful personal readings and group healing energy process. Lots of new healing techniques and processes. There is a need at this time for simple & effective energy clean-ups. A Lot of people have "energetic debris" in their aura and fields. Once this is cleared away and higher vibrations brought in, people feel lighter and more positive. ​So just like spring cleaning your house, changing your winter tires or tuning your car it is a GREAT idea to clear and tidy your energy fields. Join Jade Yin Hom and I as we talk about Creating Your Reality from Your Inner Universe. Wonderful guidance, insight, and wisdom about Truth. Wonderful and powerful personal and group healing energy processes. Definitely a show that you want to watch again. Lots of healing. Do not miss! We all experienced major healing and shifts including me! -How do you play with your Inner Universe of energy? And what is a bagua? -2019 is all about re-set and setting up the foundation for the next 20 years of our lives. This work with aligning your Inner Universe (your bagua) with freedom, Infinite Supply, magic, joy and so much more will set the tone for the next 20 years of your life. -This work goes beyond changing one’s belief systems and one’s mind set. It’s about aligning your Inner Universe with such powerful truths that manifesting becomes second nature. You’ll feel the support of the Universe in all you do. -When you’re Inner Universe is in alignment with powerful truths you can survive anything in the outer Universe around you. (I’ve been through hurricanes in Florida, earthquakes in Southern China and Los Angeles, and recently a “bomb cyclone,” here in Denver. My business thrive despite it all and I got windfalls of $$$ after each natural disaster. How does it get even better than that? -It’s easier to have self-acceptance, love and self-respect when your Inner Universe is in alignment with these qualities of energy. Because your outer world reflects your inner world and this works both ways. -Sometimes changing the outer world makes it easier to create change within. This is a little different than what we’ve been taught in most self-help techniques. Join Ambujam Rose and I as we talk about Yes...But What is True?. Wonderful guidance, insight, and wisdom about Truth. Wonderful and powerful group healing energy process and powerful life-changing readings with even more healing. Definitely a show that you want to watch again. Do not miss! We all experienced major healing and shifts including me! One of the most powerful shows of the season! -Ambujam’s story of her work found her + her early on sacred experience with a client that showed Ambujam how truly holy and special her work is. -How does asking the question “What is true?" help us live in our awakening and embodiment? -Why would we use this question for making all decisions? -What is Ambujam’s unique Group Power Healing? Join Julie Umpleby and I as we talk about The Courage to be You. Wonderful guidance and insight, and wisdom. Wonderful and powerful diamond light energy process that we can use for ourselves to let go of even more of what is not us to create more ease and joy in our lives. Join Kelly Hampton and I as we talk about How to Heal Using Highly Charged Star Codes. Wonderful guidance and insight, and wisdom from the Council of 9, Archangel Michael, and Kelly. Wonderful and powerful harmonic healing star codes that we can use for ourselves, the planet, our pets, and humanity to empower us to create more ease and joy in our lives. -You will hear AAMichael describe revolutionary new ways to connect with your spirit guides and specific angels by using starcodes not automatic writing! -Kelly will discuss her new line of accessories, StarCode Creations and how they can help heal many conditions and expand you in many ways. Join Alicia Power and I as we talk about How Shadow Energy Triggers Your Ascension. Wonderful guidance and insight, and wisdom. Wonderful and powerful process that we can and should do every day to assist us with our ascension and to have more ease in our lives. When we incarnated in 3D, we might have forgotten that our souls chose this incarnation for a powerful reason, above even our physical expression of our soul mission. What is this powerful reason for incarnating – into a world of disempowerment, anxiety, difficulty, struggles, and often disappointments? What benefit to the long arc of our soul’s journey – even beyond this life – could this time in a shadow-laden reality bestow on us? What is this mysterious benefit and opportunity being offered in this time here in the Physical Plane? Alicia’s Creator Being Spirit Tutors would like to reveal an important piece of information – for your logical conscious self to realize. And this new High Authority Spirit revelation, will support you and strengthen you as you walk forward in your life, no matter what your challenges. Because it is in your challenges – that your future power lies. Join Vandana Atara Aura (Meryl Brinin) and I as we talk about Divine Doctoring, Spirit Surgery & Soul Recovery. Wonderful guidance and insight, and wisdom. Wonderful and powerful healing journey and process to clear out deep core root issues. Lean in & Tune In To Higher Frequencies, Harmonic Energies & Light Technologies From The Doctors Of Divinity In The Higher Realms! Experience Advanced Healing, Respite & Recovery In The Temples, Ashrams & Retreats Of Rejuvenation. Regeneration & Renewal to heal your mind, body, spirit & soul. Vandana is super excited to share the most advanced healing upgrades, updates & technologies from your soul assigned divine healing intervention team on earth & in the stars! During this quantum healing activation, Vandana will introduce you to advanced light beings & healing masters from Shambhalla, Arcturus & Sirius in the ancient temples of health, healing & wellness.